Though the work style of Gen Y workers is frequently denigrated by veterans of the business world, they also possess a knowledge base completely foreign to many upper managers and executives and shouldn’t be ignored for their tech savviness and the productivity benefits that come from this know-how. In fact, there are a number of unconventional productivity lessons that can be learned by the so-called Millennials with their expertise in social media, the Internet, and even new-styled management practices. 1. With technology moving at a breakneck pace and new tools for performing standard tasks appearing on a nearly daily basis, Millennials are well-understood to be consummate early adopters, willing and able to explore the wealth of new technology applications being regularly placed at their fingertips. Embracing experimentation, research and using new productivity tools promotes innovation when approaching your workflow. Through honing your skills of these productivity tools, you can create new methods for making your daily routine more effective. 2. The apparent self-centeredness of many Gen Y workers is often a target for criticism and is regularly cast in a negative light. Performance is the primary drive behind the Millennial work ethic and a focus on defined roles and responsibilities becomes the means to being most productive. Millennials may not aspire to be the office “go-to” person forsaking this role in favor of being a top performer. This focus on personal productivity can be useful when managing your workload. By better understanding how taking on more work affects your own satisfaction and potential for career advancement, you can work to avoid forfeiting your happiness in the name of managing your priorities. 3. Generation Y workers are well-versed in the ideals of transforming failures into opportunities for developing new techniques. As such, the younger set typically isn’t as afraid to fail as older workers. Learning by doing is the new method of choice even at the loss of a degree of efficiency. Learning skills is paramount to immediately accomplishing a task. Learning to view failures in this way can help you to succeed in your endeavors by not succumbing to the fear and discourage that may otherwise overtake any future attempts. 4. Members of the Millennial generation have had almost no occasion to find stability in their adult lives given the state of the economy, the global recession, and other economic and social woes. So becoming proficient in a variety of skills in order to remain competitive in a dynamic job market has become a priority. From this mindset comes a set of values that embraces change as a way of life and pushes for the need to continually look for opportunities to change the way you operate to better suit the current environment, which may morph into something completely different in a matter of months or a few years. 5. Regular feedback and mentorship is vital to the functioning of Gen Y workers. While many older workers may view this as somewhat lazy or even needy, having positive mentors helps younger workers remain engaged by keeping their work in context, allowing them to collaborate with others, and giving them an outlet for communicating their expectations. Developing a strong relationship with mentors or other superiors can breed a sense of loyalty to your boss and a better appreciation of how your work affects your company. This in effect incentivizes you to develop more effective work habits and attitudes that help you become more efficient at your work. 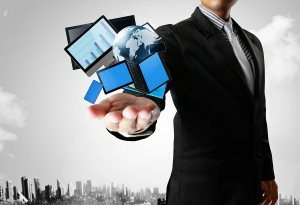 While Millennials have a lot to learn from the working world, they already offer a means by which to view the business world of the future and they introduce ways to embrace the coming change and become more productive as the technological and workplace landscapes experience change at an ever-quickening pace.